Old cars: it will all depend on the condition of the car. Some cars may have been used only a few times and is in pristine condition and some cars may have been driven for many years already. Have a good budget since most sellers would have it in cash or check. New Car: If you opt for a new car, you will certainly have a warranty. Sometimes a warranty of a higher value can be bought. Of course the condition of the car is pristine so basically you really have nothing much bad to expect with a new car unless it is your 16 year old child who will be driving it. Used cars: Most of the time there will be no warranty but for those with warranty, it is usually given for free. You will seldom expect that a used car will be perfect. There will always be something wrong with it but before buying, make sure to have your mechanic give you an honest opinion regarding the car. New car: Again, this will mostly depend on usage but since you will be the first one to use it and it still has that new car smell, you will probably try to use it carefully as much as you can until you get comfortable using it more ruggedly. Most likely a new car will have more longevity. Used car: These cars are showing the years on their sound and looks but most of the time if it is properly maintained and properly used, it will last a good deal of time to match its price. 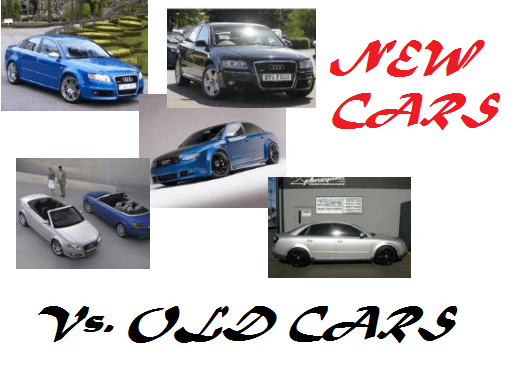 All that matters here is that you take care if your car really well no matter how new or old it could be. New car: The new car, again, has warranty included in it and most new cars have road side assistance. Some brands offer extended assistance as similar to the ones done by luxury brands. Again with warranty, when something happens and you still have coverage, you can have it fixed with no cost at all. Used car: since you are working with an old car probably 5-10 years old already, warranty may have been over already so when it starts to break down, you would have to work with it and make it work for yourself. If you got a car with as till good warranty, then you are lucky but most often, you won’t be. New Car: It will certainly be new and it has its new car smell. It is in good condition and has no scratches or dents. Used Car: There are some models of used cars, that are just like new and if you happen to snag a good deal, then you are lucky since it is a very good deal to have a good car in a relatively lower price.